I met up with Mr. Arai in an olive orchard overlooking Uchinomi Bay. He owns orchards all over the island covering a total area of about 13.2 hectares. 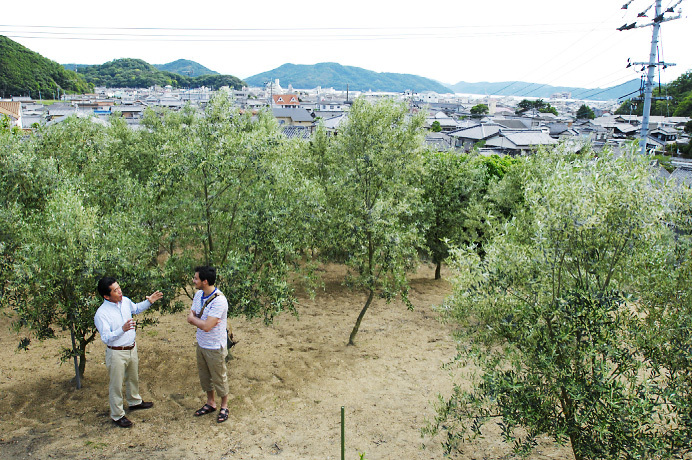 In fact, he owns the most orchards of any olive producer on Shodoshima. 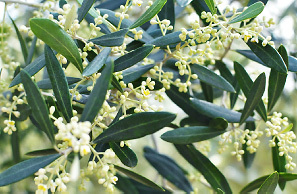 Olive leaves must be pruned carefully to make sure that every leaf receives enough sunshine. Mr. Arai chose a hardy olive that has a fresh, fruity aroma. “I don’t think any other place in Japan grows this variety,” he told me. 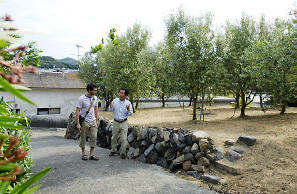 As an Italian, I was amazed to hear that there is an olive oil produced in Shodoshima with an acidity as low as 0.09%. Extra virgin olive oil refers to oils with an acidity of less than 0.8% but 0.09% represents the cream of the crop. The producer is Mr. Arai. “My goal is to make world-class olive oil,” he told me. His voice held not just confidence but true conviction. The Arai manufacturing process allows for no compromise at any stage of production. “We started by preparing the perfect soil in the orchards and we continue by daily trimming the leaves. Although it reduces the ratio of oil we can press, we harvest the olives when they’re still young and contain three times more polyphenols than ripe olives. Damaged fruit oxidizes more quickly so we pick each olive by hand and press it in our plant within six hours of picking.” What a painstaking process! I can see it requires constant attention but obviously Mr. Arai’s desire to make the ultimate olive oil keeps him going. The more I listened, the more I appreciated the depth of Mr. Arai’s knowledge and his persistence. He’s got me convinced now, too. His olive oil is surely destined to become one of the world’s leading brands, placing his Shodoshima-based company at the forefront of the industry. Air is sucked from the bottle and replaced with a special gas to prevent oxidation and prolong shelf life. A special coating blocks out light. The result? An unopened bottle of Arai olive oil stays fresh for about five years, 2.5 times longer than conventional olive oils. Here I am, sampling Mr. Arai’s product. Due to the nature of my work, I’ve tasted many kinds of olive oil and used them in cooking but rarely have I run into an oil of this superb caliber. Mr. Arai has extensive knowledge of olive oils in every country and, like a true Catador & Olive Meister, was able to answer all my questions. Of course, I had to taste Mr. Arai’s olive oil. I’m embarrassed to admit that my initial expectations were rather low. Remember that as an Italian, a chef and a gourmet, my standards are high. But I was pleasantly surprised. First, I experienced its fruity aroma and slightly bitter taste. As the oil slid down my throat, its peppery bite made me cough. The bitterness and pungency proved beyond a doubt that its acidity was only 0.09%. Who would have thought I could find such quality on the little island of Shodoshima? Awesome, Shodoshima! Awesome, Japan! At 12,600 yen per bottle, this olive oil is not cheap but to someone like me who’s in the food business, it’s clear that Mr. Arai makes very little profit considering the amount of labor and investment involved. “Why do you insist on such high standards?” I asked. “Because I want to make the best olive oil in the world,” he responded immediately. “I take pride in the fact that our products are just as good as those produced in Spain and Italy, the hub of olive oil production.” Hats off to Mr. Arai for his passion and hats off to his incredible olive oil! Mr. Arai began by preparing the soil for his orchard. 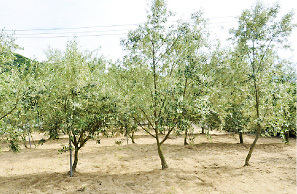 He now has more than 6,000 olive trees, the majority of which are five to six years old. He cultivates them as tenderly as if they were his children. In early June, olive trees all over the island begin to bloom. The color of these delicate blossoms depends on the variety. The trees bear fruit in October and Mr. Arai’s olives are harvested and pressed earlier than anywhere else. This year, for the first time, Mr. Arai submitted extra virgin olive oil with an acidity of 0.09% to an international olive oil competition in Italy. “Some people may think this year’s product was an accident. But if we repeat this performance for the next decade, we’ll prove that it’s no fluke.” Any company within the top 20 of 450 entries is recognized as a leader in the industry. That’s precisely where Mr. Arai is headed. 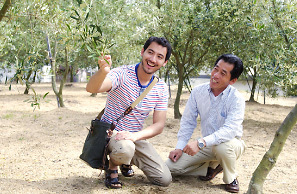 Mr. Arai is also passionate about sharing his skills and knowledge with the next generation and about passing on the olive orchards and pressing plant he spent thirty years developing. 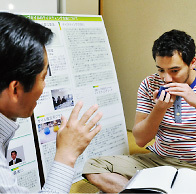 He has been traveling not only around Japan but also overseas to share his know-how through training courses and events. I can’t wait to see the upcoming generation arise with the same tireless dedication and readiness to take on new challenges. Characteristics: Acidity of only 0.09%. Made from handpicked Shodoshima-grown olives pressed within 6 hours of harvesting. Rich, deep flavor and refreshing aroma with hints of green apple.